Kids need entertainment and somehow we are unable to take them to a park. So, what could be better than giving them a smartphone for a while to keep them busy or letting them watch their favorite cartoon show? Although it might seem an easy thing to be done we all know that excess of anything can be hazardous. 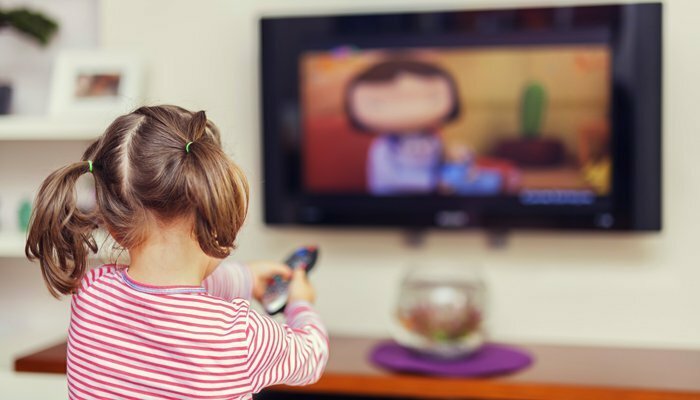 It’s important for the parents to be aware of the amount of time their kids can spend in front of the screens without causing any harm to themselves. “I have been so grateful for movies or apps on my phone when I’ve been stuck in the emergency room with my son, sitting at the airport with flight delays, or trying to get them to stay calm during a blood draw. However, I do feel that handing a child a mobile device when they’re crying or upset may not be helpful in the long run. First, it may reinforce the negative behavior, as the mobile device may be seen as a ‘reward.’ The child thinks, oh great I’ll do that again next time! Second, it distracts the child from what they were feeling, rather than letting them feel it, express it, and get some help from an adult problem-solving around it,” are the words from Dr. Radesky, a developmental-behavioral expert at University of Michigan C.S. Mott Children’s Hospital. “Under 3, toddlers’ immature brains have a hard time transferring what they see on a screen to real-life knowledge. We don’t yet know if interactivity helps or hinders that process. What we do know is that early childhood is a time of rapid brain development, when children need time to play, sleep, learn to handle emotions, and build relationships,” Dr. Radesky further added in a release.